I love this time of year because not only are berries and peaches in abundance, but zucchini is finally starting to pop up at the farmer’s market too. I love zucchini because it’s such an easy veggie to incorporate into recipes, and it’s pretty much the most delicious thing ever, especially when you’ve been eating leafy greens like kale and chard for what seems like an eternity. We’ve gotten so much squash and zucchini in our CSA bag the past few weeks that it’s been fun to get creative and figure out ways to use it. I have zucchini muffins in the oven right now but one of my favorite ways to eat zucchini is in “chip” form. It’s basically like a healthy mozzarella stick where you use zucchini (or squash) instead of a chunk of cheese. Plus, you don’t have to worry about choking on a huge string of cheese, which I seem to do everytime I eat a mozerella stick (which is really only about once a year, I promise). You can cut the zucchini into “sticks” to mirror the shape of mozzarella sticks, but I just stick with slicing them into coins since it’s a lot quicker and I can let my handy-dandy food processor do all of the work for me. Also, I make my own whole-wheat breadcrumbs by grinding up slices of bread in the food processor and then toasting them in the oven on 300 degrees for about 15-20 minutes. If you ever have bread that’s a little too stale to make a sandwich, making breadcrumbs is always a good way to use it instead of tossing it in the trash. I store my breadcrumbs in the freezer, so I always have them on hand and they last for a while. 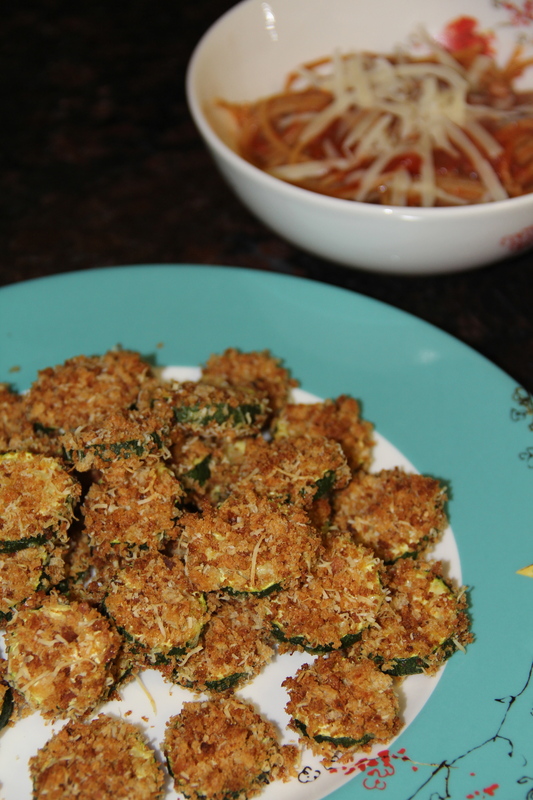 Zucchini are known to grow really quickly (I wouldn’t know because everything I try to grow seems to die), so if you find yourself with a boatload of zucchini, here are some of my other favorite squash recipes that you may want to try. 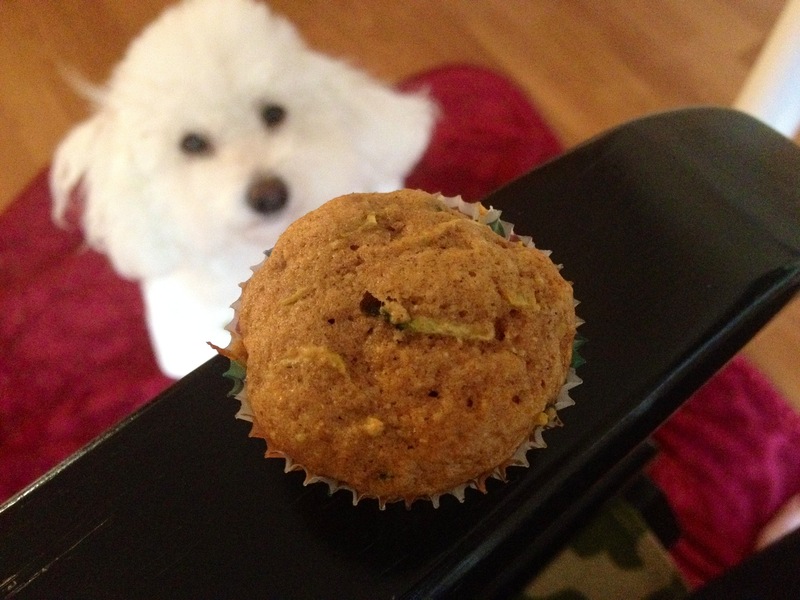 Here’s a little peek of the whole-wheat zucchini muffins that are just coming out of my oven. The entire house smells like cinnamon, but I’m going to try to hold off until after dinner to dig in to these little treats. I’ll share the recipe soon! What about you, what’s your favorite way to use zucchini? I shred zucchini and make pancakes (savory ones).